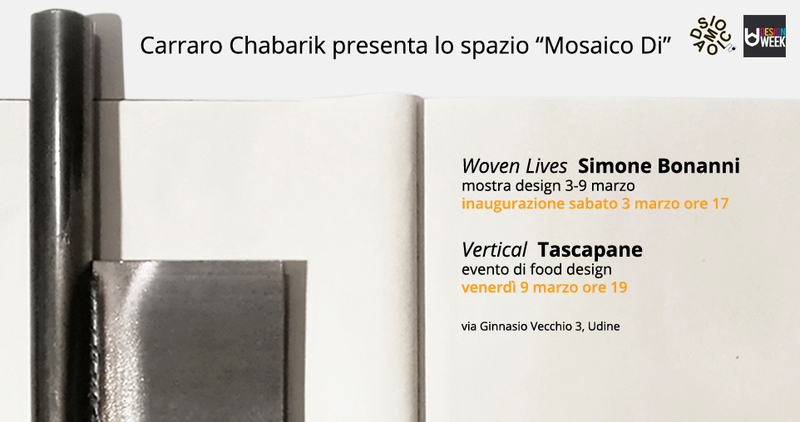 During Udine Design Week (2-9 March 2018), organized by the Mu De Fri – Museum of Design of Friuli Venezia Giulia, we will host in the temporary gallery Mosaico Di the designer Simone Bonanni with the exhibition Woven lives, where it will be exhibited for the first time also the “Mosaic Centerpiece” project realized in collaboration with us. At the end of the week, on friday 9 march at 7 pm, there will be the food design eventVertical, by Tascapane. The exhibition tells of an interweaving of lives, professions and trades, a plot that generates tangible and concrete output. 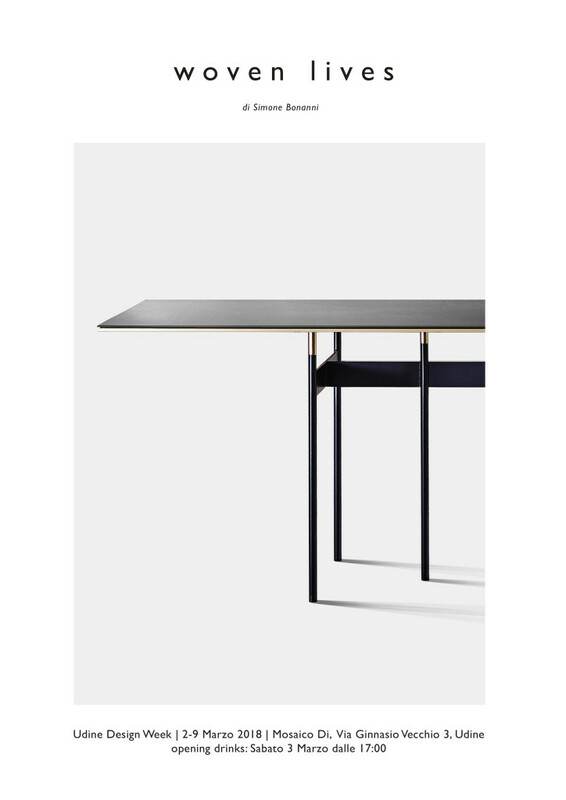 The exhibited projects, distinguished by uniqueness and craftsmanship, were born from the collaboration between the designer Simone Bonanni and masters of Made in Italy, in the field of mosaic (Carraro Chabarik), foundry and artistic carpentry (Campagner and Mingardo), goldsmithery (Emma Pizzagalli). 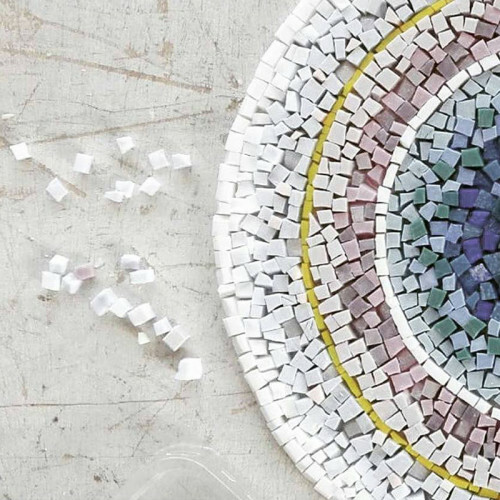 Given the starting elements, it is the interweaving of lives – and therefore the right proportion of different knowledge, techniques, ideas and humanity – the key to the full expression of the potential of a project.